“It’s a unique situation”, said Malcom. Not once, but twice. The latest addition to the FC Barcelona first team squad simply couldn’t find the words to describe how it feels to have joined what he calls “the greatest club in the world”. Something else the Brazilian kept repeating was the word ‘alegria’. Happiness. Joy. Delight. “This is a boyhood dream come true” he said – and from the look in eyes, he clearly very much meant what he was saying. “I hope to bring a lot of joy to the fans. I can’t wait to get started. I’m here to help my team-mates with my style." 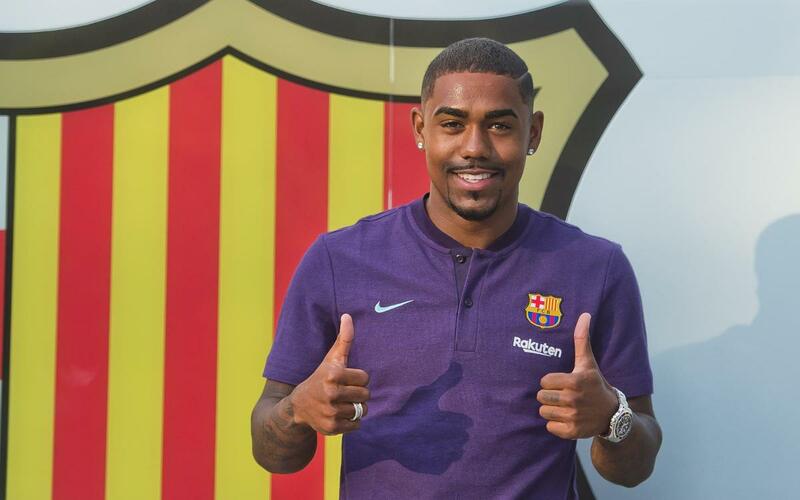 Quick and skilful, the 40th Brazilian to wear the famous blaugrana jersey is a very happy man indeed.